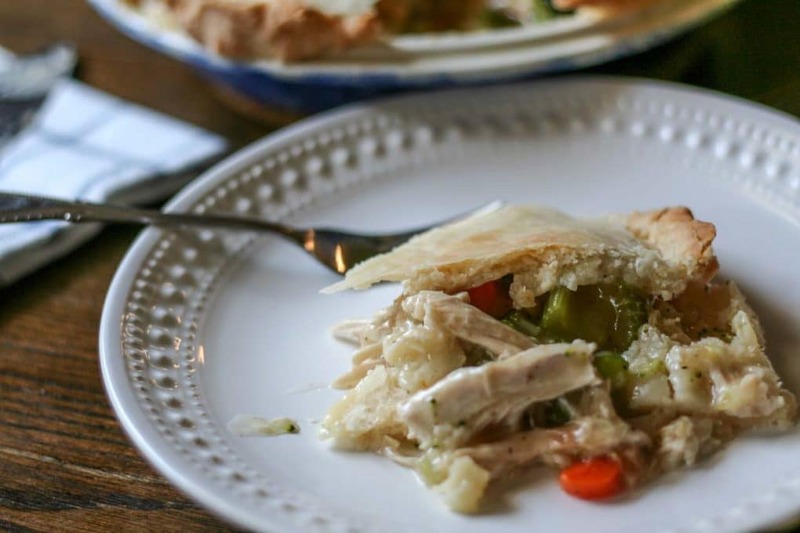 Sometimes you just need comfort food, like a good ol’ chicken pot pie. Anyone else love pot pies simply for the crust?? As I’ve mentioned before, I am a crust lover! Which is why finding a gluten-free, Paleo/Primal option was definitely on my to-do list. 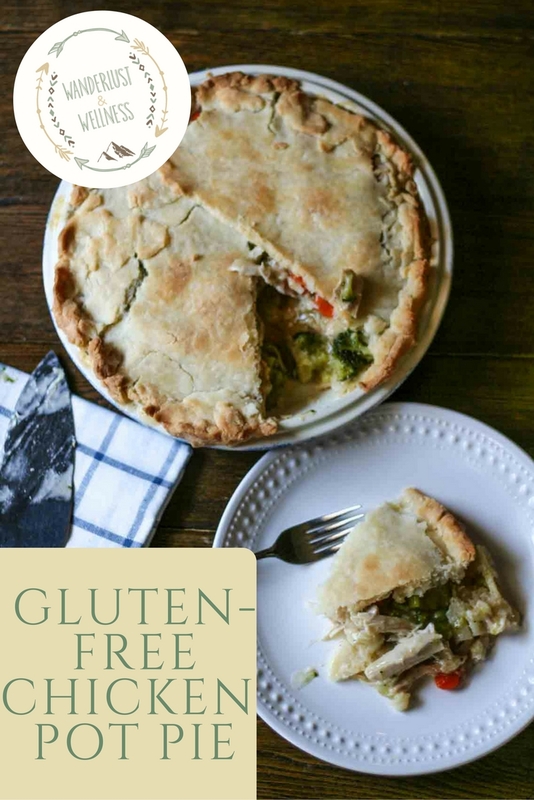 Fall is near and soon cooler weather will be returning and this chicken pot pie is the perfect Sunday afternoon comfort food for those cooler temperatures. 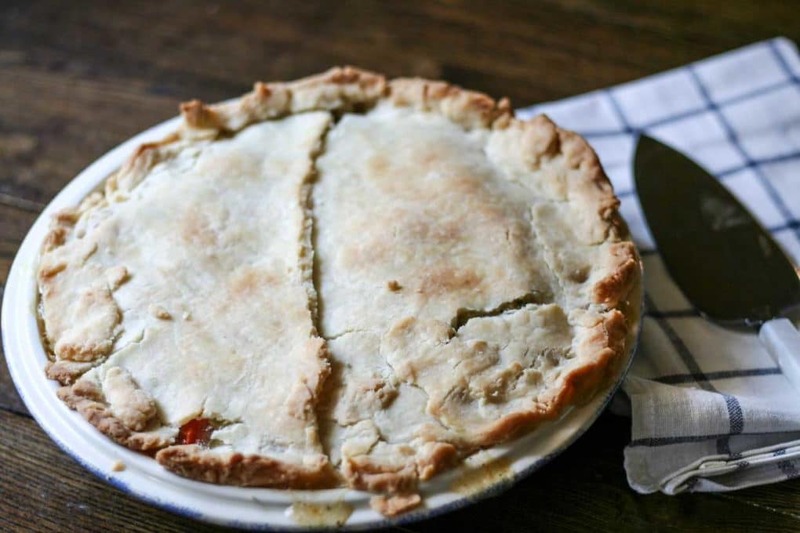 What’s so great about making this pot pie is that your crust doesn’t have to be perfect. In fact, my crust was assembled in two separate pieces. 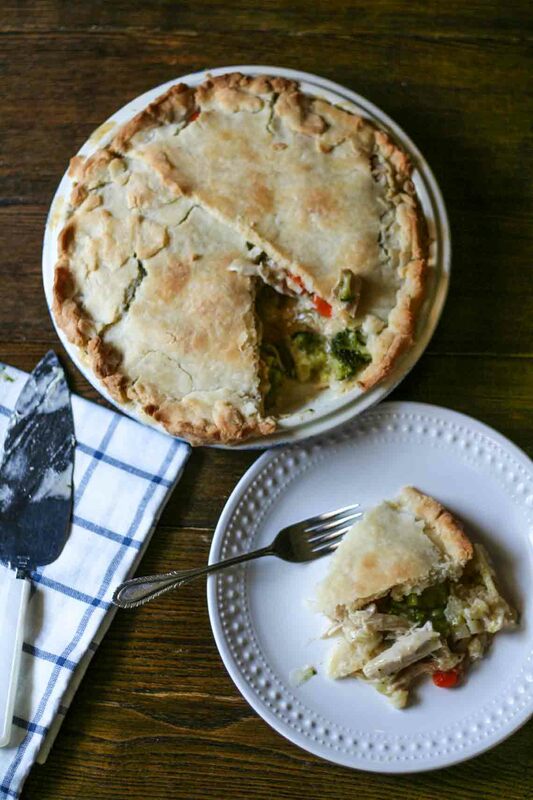 I come from a family where your pie crusts are award-winning so I was a little scared to show off this pot pie crust. 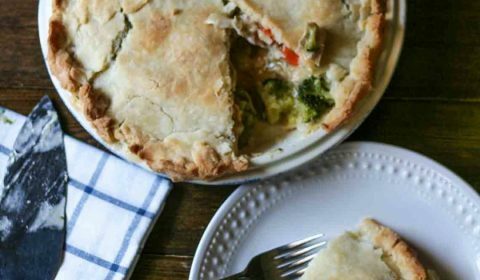 But, it’s rugged and rustic and perfect for this pot pie. My husband told me this was the best thing I’ve ever made. I’m not sure what to think about that, but I’ll take the compliment! (note: he likes homestyle cooking like this) Even the kids approved, even my daughter who is THE PICKIEST EATER on the planet. I also used rotisserie chicken I picked up at my local organic grocer to save time. It looks complicated but it’s really not, I promise. Stir in cold water, then form dough into a ball, wrap in plastic wrap and place in the refrigerator to chill. For the filling, combine chicken, carrots, celery, and broccoli and cover with chicken broth (approx. 2 cups). Boil for about 10 minutes and then drain and set aside. In a large skillet, melt ghee over medium heat, then add onions and cook until tender. Stir in the tapioca flour, salt and pepper. Slowly stir in the coconut milk and 1 3/4 cups chicken broth. Simmer over medium heat until it becomes thickened like gravy, remove from heat. Add in drained vegetable mixture, stir until combined and set aside. Press the dough into the bottom of the pie plate and up the sides. Pinch together the edges of the crust, then place onto a baking sheet (for any spillover during baking) and bake for 35 minutes. Remove from oven and place onto cooling rack, let cool for about 10 minutes before serving.